Our philosophy is "make it the right way, make it personal." My Dad wore hats. Real hats. The kind you only see in old pictures or movies these days. He had a lot of hats. His favorites were Stetson fedoras, handcrafted in Philadelphia, Pennsylvania. Before he left the house each day, he’d carefully choose one from the rack and don it. The hat always seemed to fit his mood – or the occasion – perfectly. My dad’s gone now but my mind somehow keeps coming back to those hats. People don’t really wear hats much anymore, I suppose. It’s become an affectation or a fashion statement. In those days, it was something more. A symbol of optimism. That we cared about quality, polish and finish. A subtle, personal signature. From an era when taking the time to do it the right way mattered. 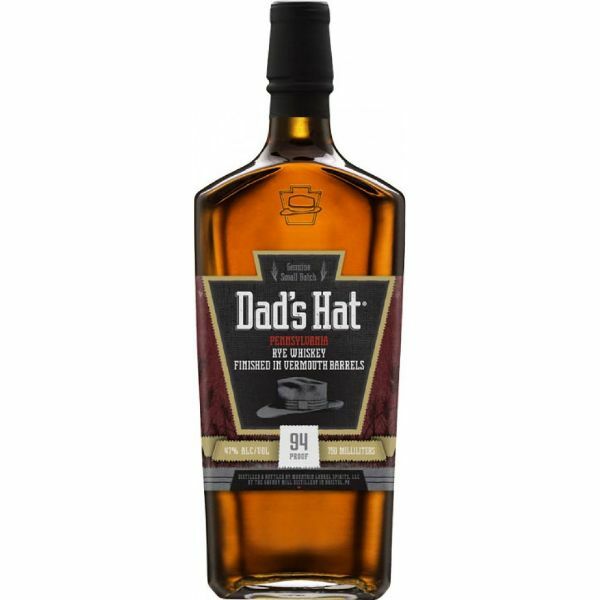 We founded Dad’s Hat Rye because we, too, want to do it the right way. To take up a tradition and make something that mattered – by hand, in small batches, using only natural, local ingredients and the most careful methods. Dad’s Hat is made right here in Pennsylvania – the birthplace of genuine rye whiskey – in honor of my father, who enjoyed rye whiskey and served it at the family’s tavern, and of that wonderful, optimistic time in America’s history when we made a lot of things and took care to make them well. My heart tells me that many of us are searching for that spirit again. We believe Dad’s Hat Rye reflects that same simple, uniquely American personality better than any other whiskey. Crisp, smooth, delicious, not lingering or heavy handed on its finish. Perfect for every occasion. After tasting Dad’s Hat, we hope that you feel the same way. By the way, I kept those hats. I still wear them. And you know what? They fit. . . Perfectly. For this modern classic, we’ve selected casks previously inhabited by Quady Winery’s Vya Sweet Vermouth to create an amazing double finish rye. The process takes our flagship rye (already aged a minimum of 6 months) and ages it a second time in select vermouth barrel for an additional 3 months – merging the warm, balanced flavors of American vermouth with our smooth, spicy rye to deliver an exceptional nose with a distinctive taste and character all its own. Tasting Notes: Deep reddish-brown hue yields to a rich nose of orange, cinnamon, pepper and vanilla – evolving as it opens. Leads with up-front spice to mid-palate dryness with the delicate finish of sweet vermouth on the back of the tongue. Round, complex flavor delivered in layers and demanded to be savored.